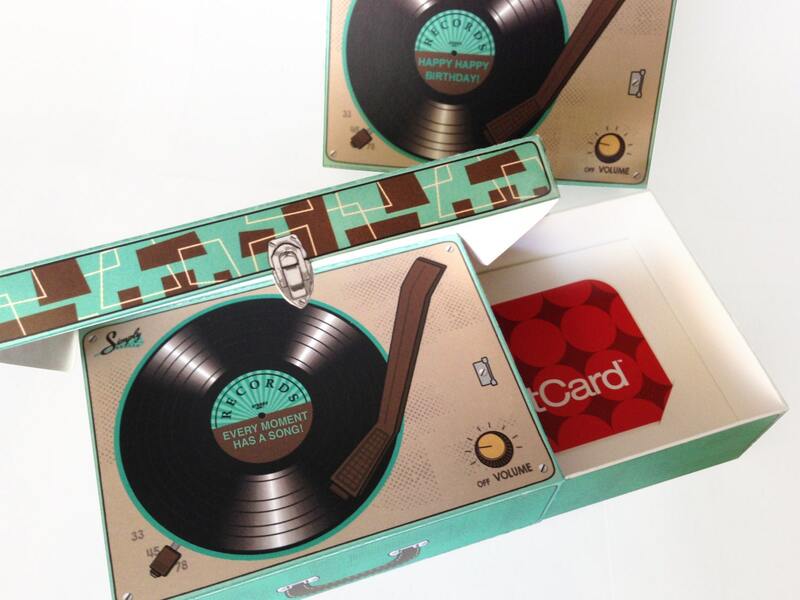 (¸.·´Retro Record Player Gift Card Box or Party Favor Box - comes in TWO designs! 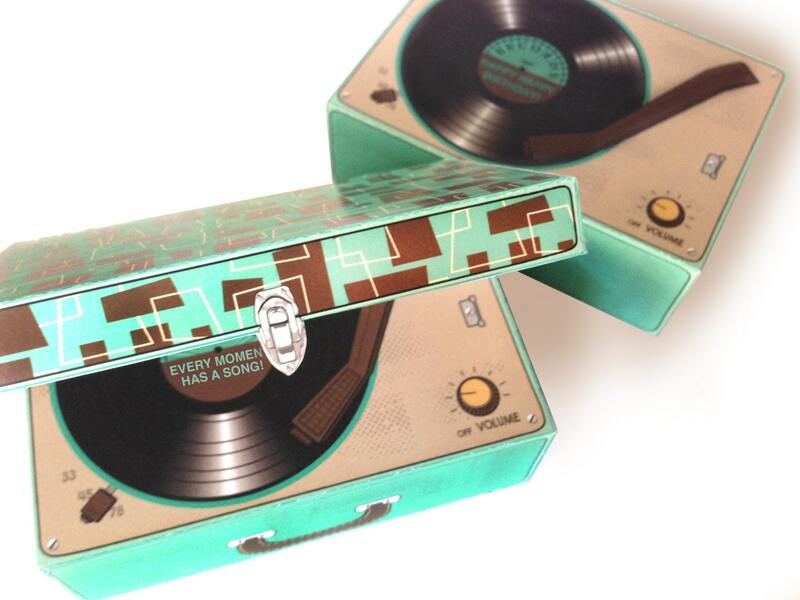 One with a lid like a suitcase you open to show the record player, and one without a the lid and shows off the record player. 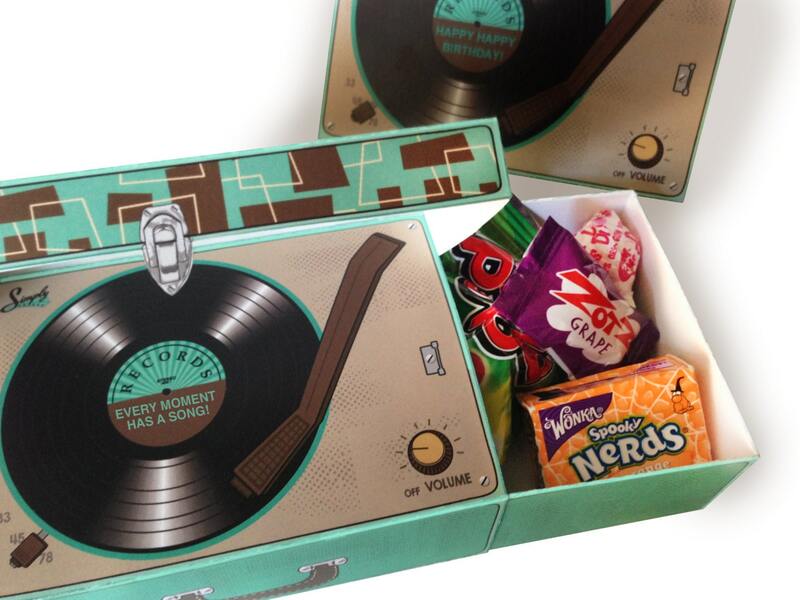 These box sides slide open for Gift Cards or Favors.This box kit includes: Retro Record Player with suitcase lid ★ Retro Record Player without suitcase lid ★ Removable Gift Card Tray ★ Editable Text on Records ★ Full color step-by-step ★ Full color Step-by-Step Instructions, plus Information for materials need & paper suggestions. 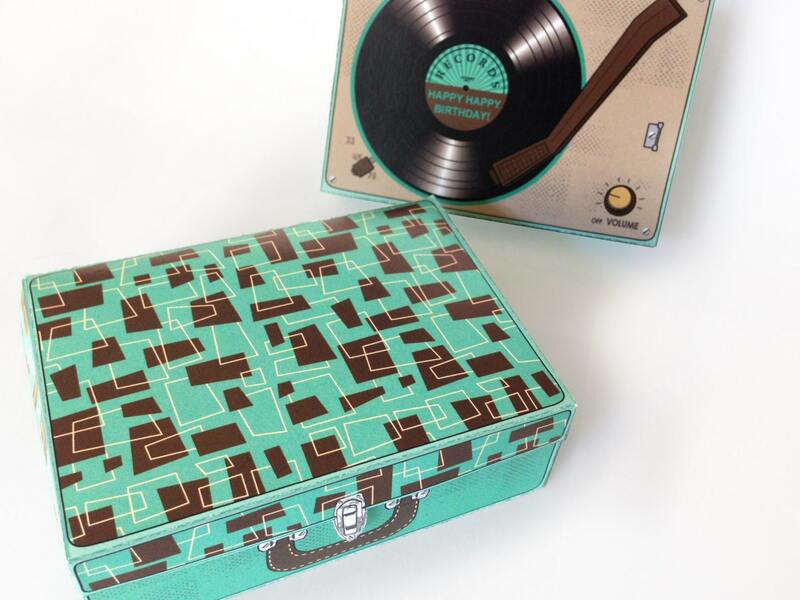 When assembled box measures - 4.5”w x 3.25"d x 1.5"h..
You're going to love this Retro Record Player Box at your party! Fill it with favor treats or give it as a gift with the gift card tray.